Are You Taking Advantage of Online Marketing For Your Brand? Billions of people use the internet everyday. Every day, more people look to research, compare, and eventually buy products and services they need. You're likely already using the internet for marketing your brand. But, are you making the most of Online Marketing? How Are You Marketing Your Brand Online Already? Whether you've developed an online marketing strategy or not, it's likely your brand is listed or mentioned somewhere online. If it's not, it should be. Simply being listed online somewhere like Google Places or having a basic website are a great start. But, to make the most of your online presence, your brand needs an online marketing strategy. If you have a brand website or business website, you're off to a great start. Just by being live, internet users may stumble across it with a search. Even if you don't promote it much at all, a website can still be found. But, by knowing exactly how people are searching for what you offer, you can optimize your site and its content for search. This process is called SEO - or Search Engine Optimization. The closer attention you pay to how potential customers search for what you have to offer, the more effective you can make your website. The easier your website is to find and how well it serves both current and potential customers, the more effective an online marketing tool it can be. Do You Comment on Blogs or Participate in Industry Forums and Message Boards Related to Your Brand? An older internet marketing strategy that still works today is participating in online forums and message boards. But, because of increasing spam - where people just go and shamelessly advertise themselves - this strategy is a bit trickier to employ these days. However, it's still useful. Find one or two forums or message boards related to your business. Participate regularly in discussions and be helpful to members. Many online forums require that you make a certain number of posts or be registered for a certain amount of time before you can even create a signature. Once you can create a signature, it's okay to put a website link in it - if that forum even allows it. Sometimes, the only place that forums allow a backlink is on your member profile. This is less than idea. But, if you're an active and helpful member of the community, people will find you by checking out your profile. A similar strategy is commenting on blogs or online journals related to, but not direct competitors of, your brand. Make sure that you actually have a useful comment to further the discussion of the article or blog post on which you’re commenting. Otherwise, it’s likely to be moderated (deleted) by the site owner. Also, more useful comments make you more visible to visitors of that page. Even if the backlink it provides is no-follow - meaning the search engines won’t give your site any extra search engine credit for that backlink - people may still stumble upon the link and follow it. Do You Ask Your Customers for Feedback Online? There's definitely value in creating online surveys. Sometimes, running a poll on social media platforms like Twitter are useful, too. But, while surveys and polls can be a great marketing tool, there's an even simpler way to get important feedback. Sometimes, simply asking your current customers and website visitors for their questions, comments, and concerns. Chances are, just by simply asking for feedback, you'll get someone to tell you something you may never have thought about before. A business that keeps their customers and fans thoughts and concerns first is bound to do well. The internet is a great place to capture this sort of feedback. After all, without your customers, why would you be in business? Care about what your customers think, and they're a lot likely to care more about you. One of the main things you need to keep in mind when marketing online is that your target customer must always come first. While that may sound obvious, many companies don’t seem to show this in their marketing. With a brand website well-optimized for search, active participation in online communities, and an open mind, you can set yourself up for big success. If you're not sure where to start, consult a highly rated internet marketing specialist. He or she will help you jumpstart your internet marketing strategy. Once you're off and running, you can keep your online marketing efforts in-house, or you can outsource it to a reputable marketing company. Then, watch the highly targeted traffic roll in and watch your brand grow. Every brand needs a community, and Facebook Groups have become the best way to do just that. While it’s good to have a regularly updated Facebook business page and Twitter profile, getting reach on social media is harder than ever. While it’s still possible to acquire new fans and followers of your brand using Facebook business pages and Twitter profiles, it requires a lot more one-on-one interaction. Fortunately, there’s a way to build a following that can also become an active community: Facebook Groups. People have used Facebook Groups for a very long time. Many Facebook users are a part of many different groups and visit them and use them often. What’s most important about Facebook Groups is that if you have posts that get lots of comments and other interactions, Facebook will show them to a lot more people than a traditional status made on a profile or business page. With social media reach pretty much requiring paid boosts to get anything seen - often with minimal ROI (return-on-investment) - Groups remain a free way to engage people with your brand. The key to a successful Facebook group for your business is inviting the right people who are interested in topics related to your brand. Whether you run a blog, business, or organization, you likely already know people who will be happy to join your group. Then, make posts that spark discussion and continued conversation. The beauty of well-crafted discussion posts in Facebook groups is that if they continue to get interaction over time, they can do work for you for weeks, months, or even years, depending on the topic. No other type of Facebook or other social media post, besides perhaps viral posts, have that sort of active life. Yes, keeping up your Facebook page, Twitter, Instagram, and other social media pages is important, Facebook groups help you consistently find what questions engage users and it’s very likely your group members will come up with ideas to use for other social media posts. Crowdsourcing ideas is another great benefit of Facebook groups, and of course, user-generated content tends to quite effective in getting more interaction. While simply sharing third-party content or posting occasional fun updates is good for social media, it’s important to also know what’s on your target audience’s mind. The one drawback of having a Facebook group can actually be one of its strengths if it’s properly moderated. Because most Facebook groups are closed and require either invites or applications to join, some people may say things they may not ordinarily say in public. While people being more open to discussion is actually a very good thing, arguments can happen. The important thing with Groups is to keep a positive environment for all group members. If peace can’t be made, never hesitate to ban group members who are causing problems if they won’t listen to reason. That being said, it’s fine for people to disagree. Disagreements actually help promote discussion and the visibility and relevance of the group to its members. Just be sure that members remain civil, as the good of the community must come first. If you need help getting started with a Facebook Group, or need to build up an existing group, let us know! We're happy to help! Whether it’s figuring out the right people to invite to your group, deciding on the right discussion questions, or just help with continuously interacting or moderating with your group members, we can help you with any or all of these things. Our Social Media Set-Up and Social Media Management services can help with your social media presence. For free social media advice and support, join our "Learn to Build Your Online Presence" Facebook group. How can voice search benefit my brand? More than ever, we’re saying “Hey, Google” and asking the burning questions on our mind. Where mobile search once was the next big thing, now it’s voice search. Sure, people still type keyword phrases into search engines. Yes, people always asked Google things in the form of a question. But today, people are becoming more casual and more varied in how they ask Google and other search engines their questions. Brands both big and small that learn to adapt to how people naturally ask for what they need are those best poised to succeed going forward. What Does Voice Search Mean for SEO? For years, search engine optimization (SEO) was focused on optimizing content around phrases both general and specific. It’s long been a game of finding the phrases that others aren’t optimizing for yet. Then, content marketing has been key in using those phrases to take advantage in the search engines. Of course, keywords are still important in optimizing for voice search. The key difference with voice search is that searcher intent becomes far more important. What’s good about having more of a focus on searcher intent? People naturally will ask Google questions differently based on their intent. Through voice search, it’s a lot more clear if someone is just researching, trying to make a decision, or is ready to buy something. With intent clearly more important, the focus of SEO shifts from keywords themselves to understand how your target audience asks questions. By considering how and why people ask questions, and not just what they ask, you can create content that more naturally answers people’s questions. You just have to ask yourself, what questions do people ask when they need answers related to what I have to offer? Is Voice Search a Good Thing for Brands and Businesses? The growth of voice search is a great thing for businesses and brands that are ready to embrace it. By understanding how search is constantly evolving, you can stay ahead of the curve. The great thing is you don’t have to reinvent the wheel to get started on optimizing for voice search. Just start asking your favorite search engine questions, See what comes up. Any time you ask a question that isn’t being answered well, there’s an opportunity for you to capitalize on when creating your next piece of content. Whether you write articles, blog, record podcasts, or produce videos, it’s important to understand how people can find you. Now that it’s becoming more important to directly answer questions, all sorts of content have to become more diverse. Pretty soon, trying to beat more established websites and channels won’t be about finding the perfect keyword phrases to target. Branding, SEO, and other marketing need to become even more personal. That’s a great thing for small brands, especially personal brands, who are able to work with queries one-on-one. After all, the more quickly and personally you can answer questions, the quicker you’re going to make fans. Voice Search Marketing is the "Next Big Thing"
Voice search in content marketing and digital marketing is going to explode in the next few years as the next big thing. It’s a natural evolution in the way people search for what they need online. Some companies are already jumping on the voice search bandwagon. It doesn’t matter how big or small your brand is. Make sure that your branding and marketing strategy is ready to show up for the searches your audience is asking. A more personal search experience means more opportunities for you and your brand to connect with your target audience than ever. It means that your own voice can stand out in the crowd. No longer do you have to compete for the next best long-tail keyword. You can just ask questions and learn how to answer them. Isn’t that we should have all been doing all along? As someone who has shopped at various Kroger-owned supermarkets such as City Market, King Soopers, and Kroger itself, I’ve become quite familiar with the various Kroger brands. 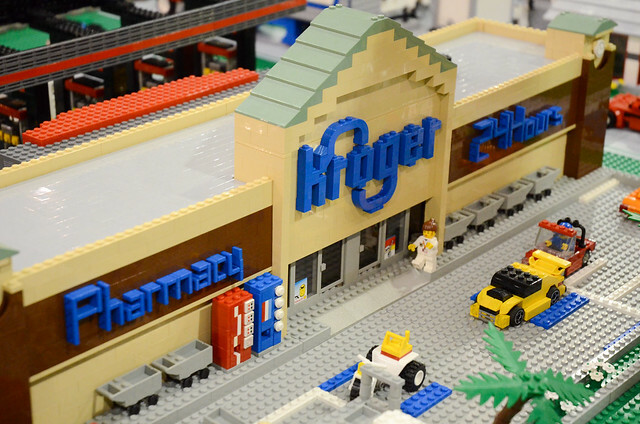 As the second largest retailer and largest grocery chain in the united states, Kroger has become an expert at building many different brands. In particular, Kroger has a wide variety of ingredient brands. Check This Out / PSST! One of the best value brands that Kroger chain stores carry is Check This Out household items. While I’ve never been impressed with their diapers, household essentials such as bathroom tissue and trash bags are consistently a good deal. These items tend to be a better value than the dollar store equivalents for roughly a dollar or less. What I like a lot about the Check This Out brand is how direct the name is. With the little owl saying PSST to you as you glance by the shelf, you feel like you’re being let in on a little secret. Indeed, there are certainly some PSST deals to be had at Kroger stores. One of my favorite baby diaper brands is actually Comforts for Baby. The price is significantly lower than the name brands like Pampers and Huggies and they have actually held up better for my babies and toddlers than the big name brands. They also have a wide array of other baby care products such as infant gas drops and sippy cups for a good price. What I especially like about the Comforts for Baby brand is the direct message of the name brand. These are products that can offer my babies comfort. From my experience, Comforts for Baby products actually do, and I’m happy to go out of my way to a Kroger store to buy them when I need them. One of Kroger’s newer private label brands, Good to Dough is the Kroger store brand for loaves of bread, hamburger rolls, and hot dog rolls. It was started in May 2018. While it definitely is one of the cornier names for a private label brand, it is actually accurate to the brand’s mission. The concept behind Good to Dough bread is that it’s actually vegan-friendly and contains no high-fructose corn syrup. That’s not the case with most bread products at the dollar price-point. The bread isn’t gourmet, of course, but it’s more than sufficient for making some toast or a quick sandwich. I actually prefer it to a lot of the name brand breads, actually. The no corn syrup is definitely a plus for health, too. For our dogs, we’ve been buying the Pet Pride dog food and Luvsome gourmet dog food for years. As many other major dog food brands keep experiencing recalls, I have not seen this happen with the Kroger private label dog foods. In my experience, my dogs have been healthier eating this food than the more common brands. It is not the cheapest dog food, but it is very affordable and well-worth it at the price point. For our cats we buy the Pet Pride and Luvsome cat foods and use the Pet Pride litters. The Luvsome litters are good, too, but the Pet Pride does the job at a lower price point. I like these brands because buying Pet Pride makes you feel like you’re actually taking Pride in your Pet and Luvsome is the brand you buy when you want to give them a bit of extra love. This sounds corny, but these ideas really do get into your head when you buy these products on a regular basis. Kroger has been making it a point over recent years to dedicate more and more time to natural and organic foods. By reducing unnecessary ingredients and using organic and non-GMO (genetically modified) ingredients when possible, Simple Truth and Simple Truth Organic foods have become some of my favorites to buy. The price point of Simple Truth products is usually similar to other natural and organic food brands, but the price is lower enough and the quality good enough that it is worth the small savings. They also offer some snack foods, such as gluten-free crackers, that other brands don’t even offer, at least at a low price point. So, what’s so special about these private label brands? They each have branding that is direct to the purpose of the brand. These aren’t just your ordinary store brands. Each of these private label brands exist for a specific purpose that shoppers can easily buy into. That’s the power of ingredient branding, turning everyday items into products that clearly add value to your life. By using this ingredient branding, Kroger has been able to upsell their store brand products. This branding strategy gives shoppers an additional emotional incentive to pinching a few pennies for a product comparable to, and in my experience even superior to, many of their brand name counterparts. So, how can you apply ingredient branding to your own business? The idea of ingredient branding is that you are giving a label to a product or service that is complementary and consistent with your main brand. But, that product is also a key ingredient to your brand’s success. For example, say you have a software-as-a-service (SaaS) package as your main offering. Then, say you particular premium upgrade in your that adds a lot of value. It’s a lot easier to upsell that upgrade as its own brand. Really, ingredient branding allows you to brand components and features of your products and services that set you apart from your competition. Not only does branding these ingredients to your success help them become more marketable, but people can get a quick mental and emotional attachment with the branding message before you even explain all the benefits of purchasing that particular brand. Kroger has really mastered ingredient marketing in the grocery sector. It’s a branding tactic that’s used in many different industries. But, there may be a chance for your business to find your own ingredients to brand. If you’re looking to take advantage of ingredient branding as part of your brand building strategy, contact a Brand Shaman today! ** The author of this post was in no way compensated by Kroger or any of its subsidiaries in any way for this post. The opinions of this author are entirely his own.